Hello! I'm back with another card that I made using the Lawn Fawn Happy Harvest set. 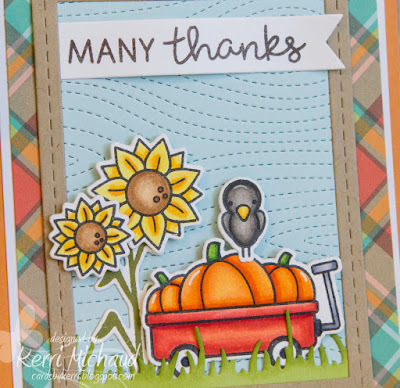 Anything that has pumpkins, sunflowers, and adorable scarecrows-I am all in LOL! For the background I used the fabulous Stitched Woodgrain Backdrop. Love this!!! I also used some of the gorgeous Perfectly Plaid-Fall paper. I will leave a full supply list below.